When you’re in need of reliable insulation contractors in Evansville, Indiana, or the surrounding areas, turn to 31-W Insulation. Since 1972, we have been the company that countless homeowners throughout the southeastern United States have relied on for their insulation needs. If you’re having trouble heating and cooling your home or have noticed your HVAC system is working around the clock, these problems may be due to insufficient insulation in your home. 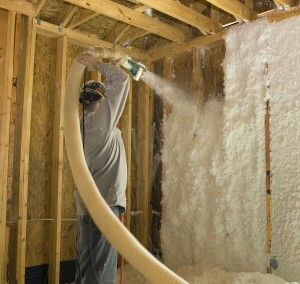 At 31-W, we can identify these issues for you and professionally install new insulation quickly and efficiently. For all of your insulation needs, you can rely on the insulation contractors at 31-W.
Batt and roll – An economical option that comes in rolls and can be cut to fit in place. Spray foam – A polyurethane foam that is sprayed onto a surface and expands into the space. Foam caulk – A special sealant that can prevent air leaks and fill in gaps. Core foam – Designed to fill concrete block walls. Once you’ve decided on the insulation that’s right for your home, our insulation contractors will take care to complete the installation so that every nook and cranny is accounted for. You’ll be able to enjoy the benefits of a properly insulated home quickly with service from 31-W.
For more information or to schedule a free home assessment with one of our insulation contractors in Evansville, Indiana, or the surrounding communities, contact 31-W Insulation today.